Fashionable RC Self a 4.18€ -9%! Fashionable RC Self a 4.44€ -6%! CL -70 Portable Camera Selfie Monopod Pole with Bluetooth RC Self Timer and Phone Stand a 4.11€ -22%! Mini Selfie Monopod RC a 1.89€ -22%! CL -70 Portable Camera Selfie Monopod Pole with Bluetooth RC Self Timer and Phone Stand a 4.11€ -6%! 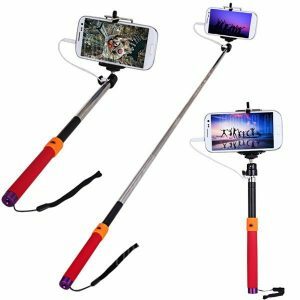 Mini Selfie Monopod RC a 1.89€ -6%!